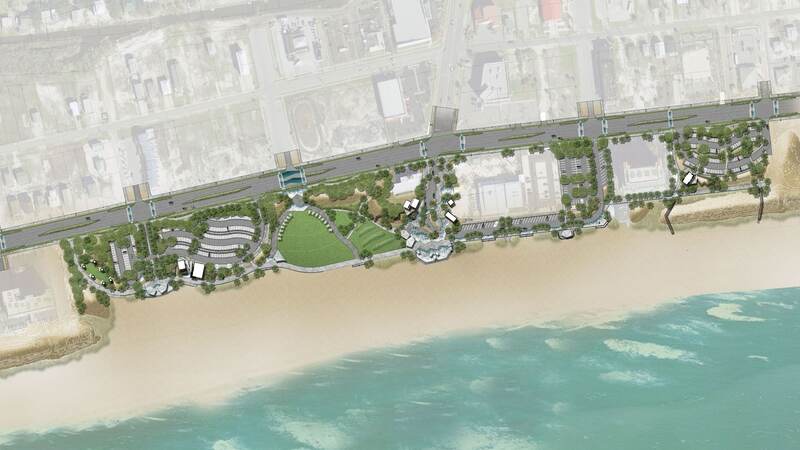 This master plan’s focus was re-imagining an existing public beach as a unique regional, coastal destination offering a range of age-appropriate activities while improving pedestrian access, reconnecting the beach to downtown, and providing flexible venues that function for different event sizes. 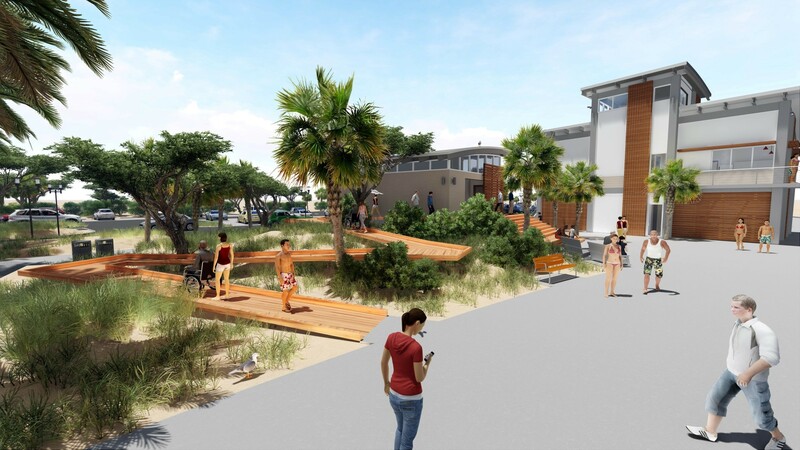 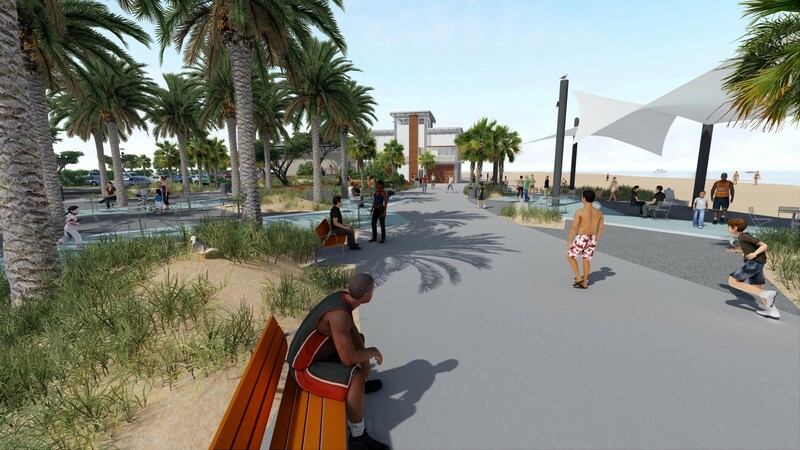 The goal was to create a waterfront destination fully integrated with the business district of downtown to stimulate revitalization and respect the natural beach environment. 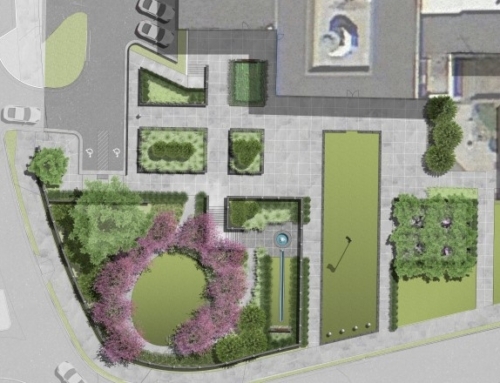 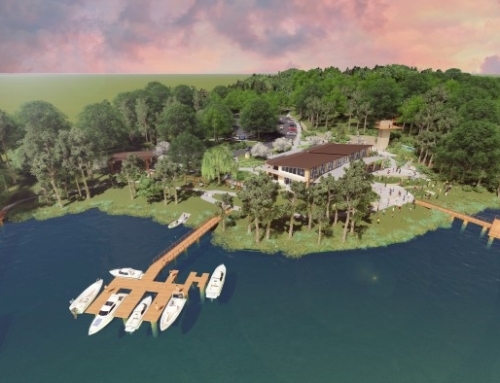 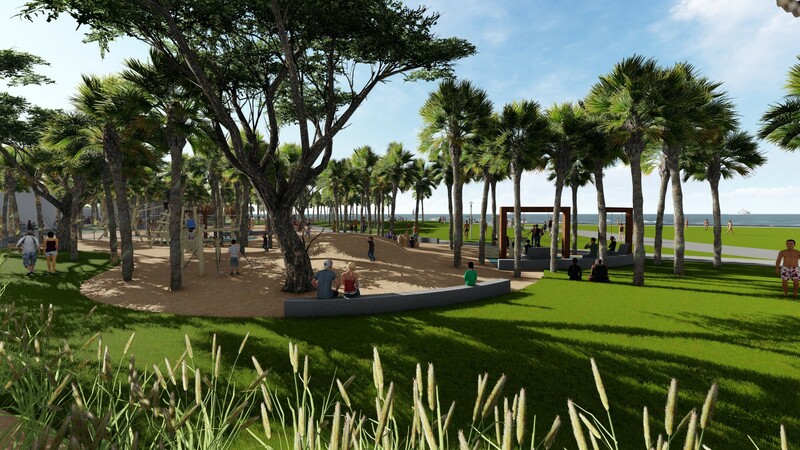 The focal point of the plan is a new waterfront town green at Gulf Place overlook. 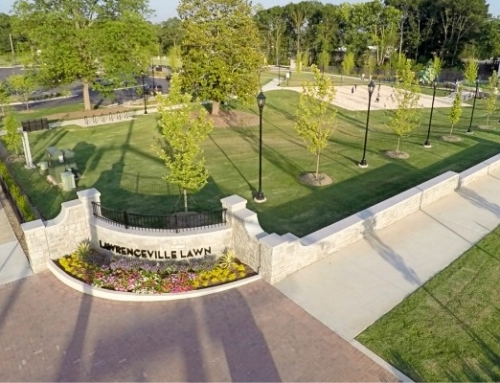 A range of programming is organized around the green including an interactive water feature, two large architecturally themed concessions buildings, an amphitheater and a challenge spot for active young adults. 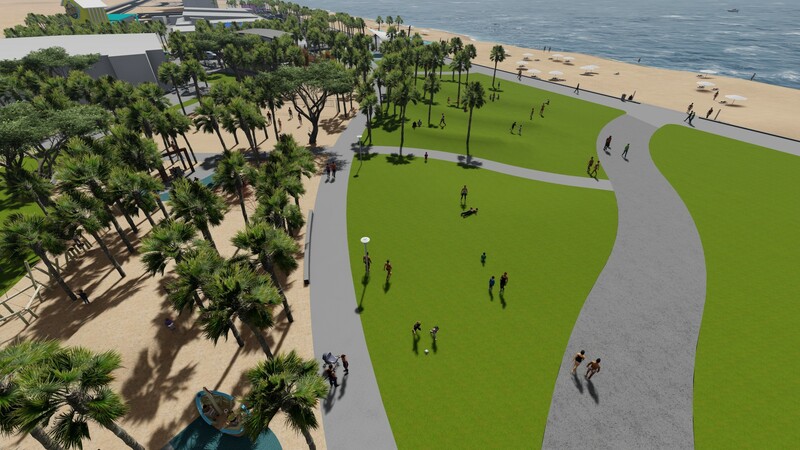 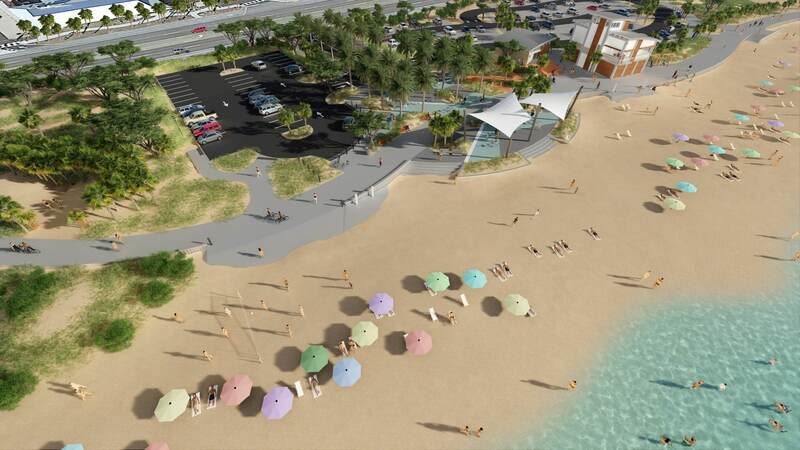 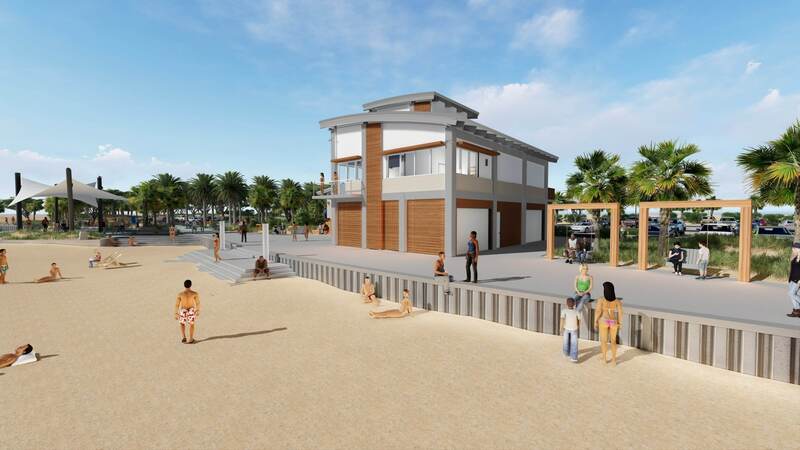 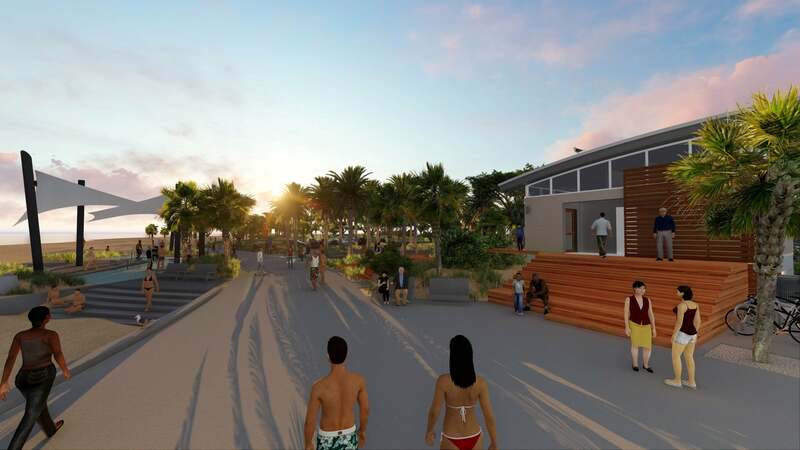 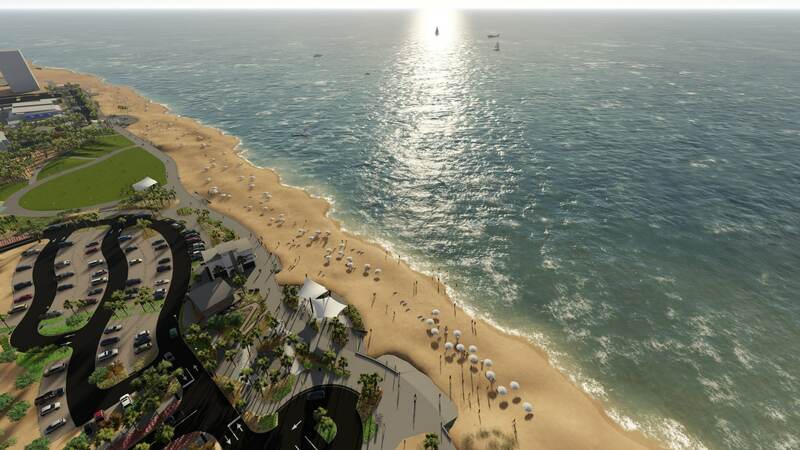 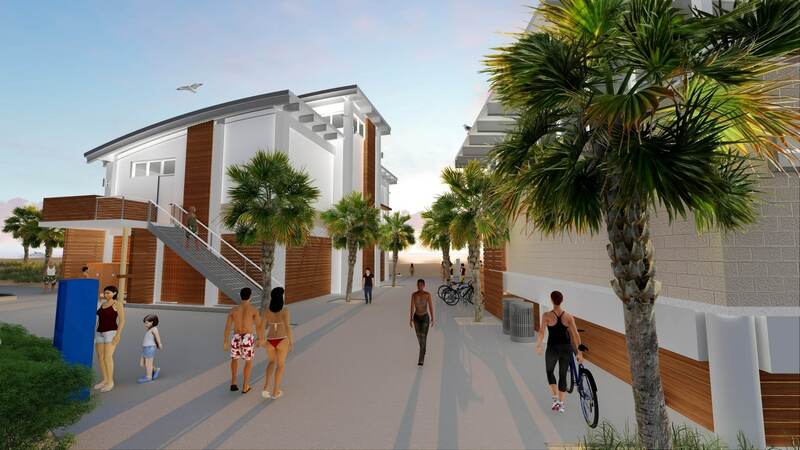 The entire beachfront is linked by a wide promenade for walking and biking with themed gateways where the town’s street grid intersects the beach. 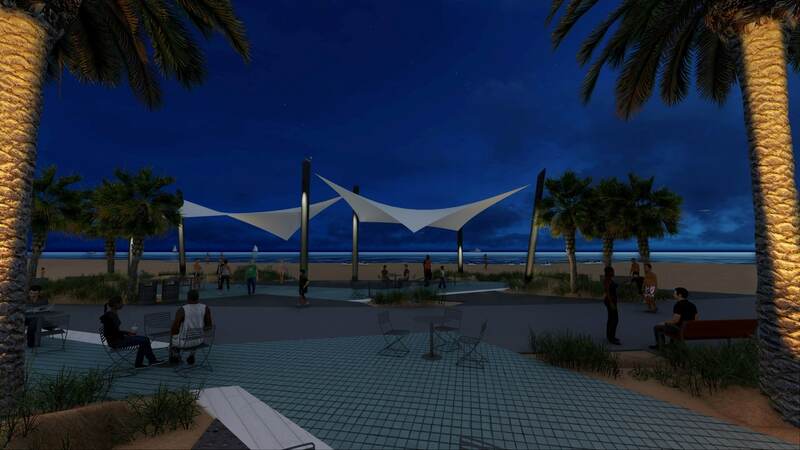 Visual linkages are created by opening water views at each gateway from downtown. 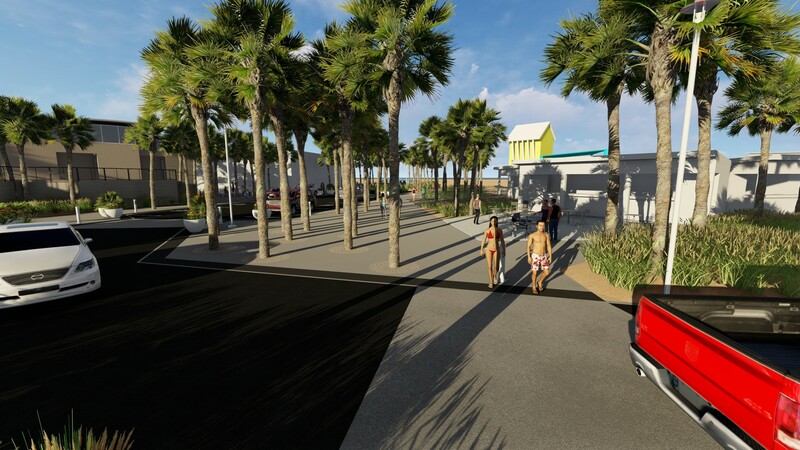 The plan reconnects downtown to the waterfront and reduces the scale of the State Highway through a series of pedestrian-oriented streetscape modifications. 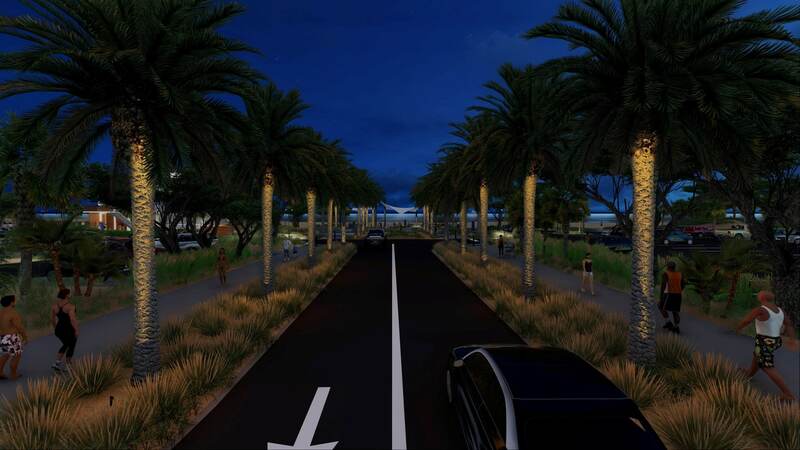 These changes include reducing roadway lane widths to minimum standards, reducing the speed limit, using urban DOT standards, and adding pedestrian refuge islands and upgraded crosswalks at intersections. 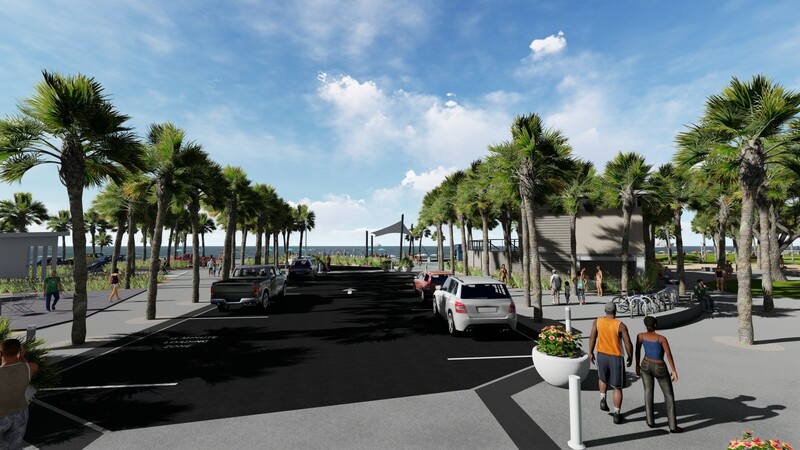 Parking in prime waterfront areas is redistributed to on-street parking or converted into flex event spaces with multiple uses. 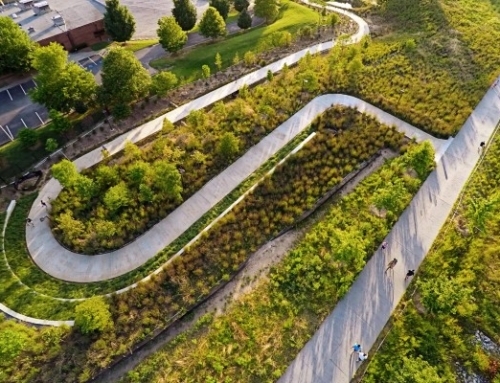 The design also focuses on preserving and enhancing the protective dune system and sea turtle habitat, minimizing runoff by reducing impervious surfaces, and improving water quality by treating stormwater runoff with rain gardens and bioswales. 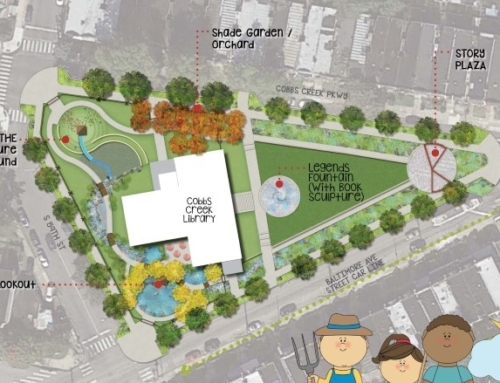 The master plan deliverables included a vision statement, guiding principles, project budget, phasing plan, funding strategy, concept plan, and architectural concepts. 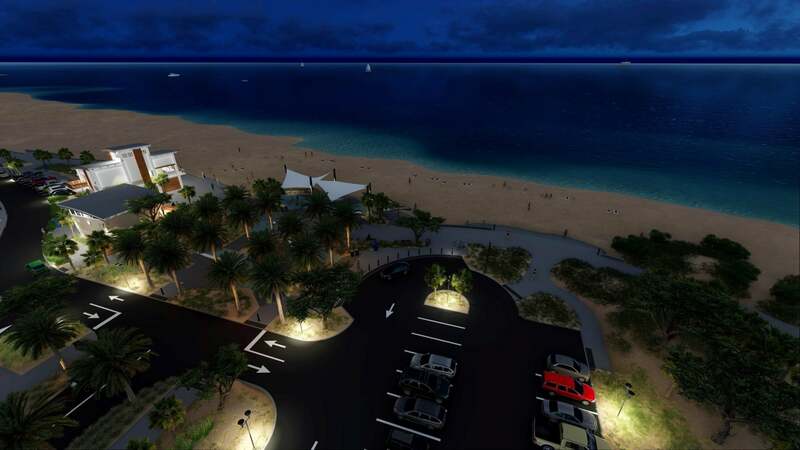 For more information please click on the following links.